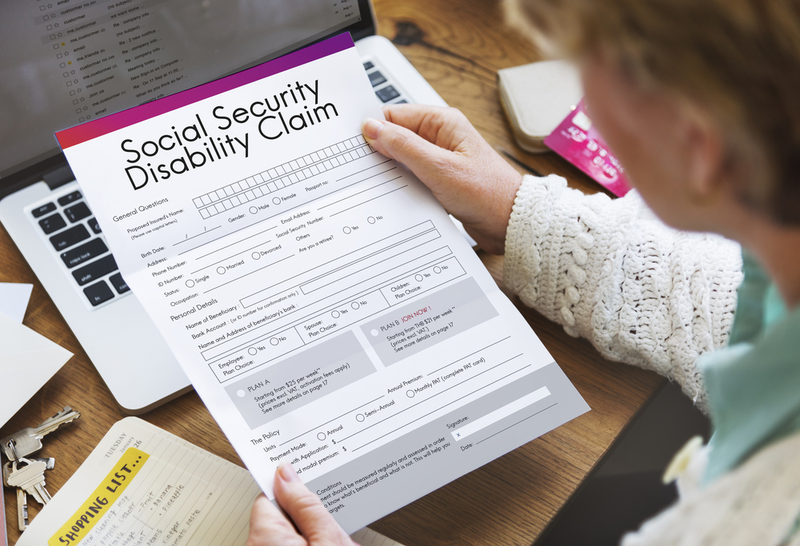 If you have filed a claim for Social Security Disability Insurance (SSDI) and received a denial letter, you are not alone. Unfortunately, statistics show that a large number of claimants are denied benefits the first time. But, just because you have received a denial letter does not mean you should give up on receiving benefits. There is an appeals process and statistics show that those who decide to go through the process have a greater chance of receiving benefits. The denial letter you received contains the information you need to file for Reconsideration and you must file within 60 days of receiving the letter. When filing for Reconsideration you can include additional information and documents that you did not put on the original claim. This is especially beneficial as your denial letter may explain some of the things that were lacking in the documents you sent with the original claim. In the Reconsideration process, your original claim and any additional information are reviewed by a new SSDI examiner and medical consultant, usually at the state office level. Now statistics show that a large percent of Reconsideration appeals are denied, but the next level of appeal has the greatest statistics of approval. It should be noted that residents of Alabama no longer have to go through this step. They automatically go to the next level of appeal when filing for reconsideration. If you receive a denial of benefits after the Reconsideration process, then you have 60 days to ask for a hearing before an Administrative Law Judge (ALJ). The ALJ is an attorney that works for the Social Security Administration’s Office of Disability Adjudication and Review (ODAR). The ALJ will review all the information you have submitted and all of the previous reasons for denial before the hearing begins. At the hearing, the ALJ will question you about your case and you or your lawyer will have a chance to explain your disability and better clarify parts of your claim. Statistics show that a claimant’s likelihood of approval increases if they are represented by an attorney. If you are denied by the ALJ, there are still 2 steps to the appeal process although the approval rate at each level is low. The first step is requesting a review of the ALJ’s work on your case by the Social Security Appeals Council. If the Appeals Council, determines that the ALJ made an error while adjudicating your case they could choose to send your claim back to the ALJ for reconsideration or prove themselves. If denied at this level, then the final option available is filing a lawsuit against the Social Security Administration in your district federal court. While the appeals process may seem long and complicated, choosing to go to at least to the point of appearing before the ALJ greatly increases your chance of approval. Do not let the discouragement of a denial letter and fear of the appeals process stop you from trying to get the help you need. Reach out today to the experienced attorneys at Brock & Stout and let them try to help you through the process. Contact us here.